Quickly determine each character’s strengths and most powerful moves to see if it fits your fighting style. 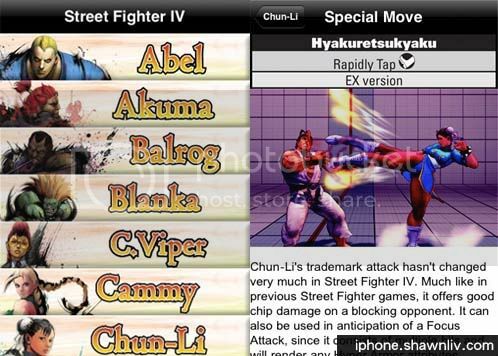 This complete application includes strategy videos for Abel, Akuma, Balrog, C. Viper, Ken, Ryu and Sagat. See each character in action while an expert explains how to execute key moves and best combos, complete with on-screen commands.